This Korean super-genius was born in 1962 and might just be the smartest guy alive today (he's recognized by the Guinness Book of World R ecords as having the highest IQ of anyone on the planet).. By the age of four he was already able to read in Japanese, Korean, German, and English. At his fifth birthday, he solved complicated differential and integral calculus problems. Later, on Japanese television, he demonstrated his proficiency in Chinese, Spanish, Vietnamese, Tagalog, German, English, Japanese, and Korean.. Kim was listed in the Guinness Book of World R ecords under "Highest IQ"; the book estimated the boy's score at over 210. Kim was a guest student of physics at Hanyang University from the age of 3 until he was 6. At the age of 7 he was invited to America by NASA. He finished his university studies, eventually getting a Ph.D. in physics at Colorado State University before he was 15. In 1974, during his university studies, he began his research work at NASA and continued this work until his return to Korea in 1978 where he decided to switch from physics to civil engineering and eventually received a doctorate in that field. Kim was offered the chance to study at the most prestigious universities in Korea , but instead chose to attend a provincial university. 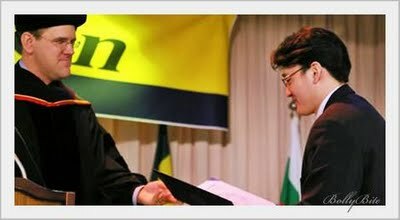 As of 2007 he also serves as adjunct faculty at Chungbuk National University . He is the founder of International Youth Advocates, an organization that promotes principles of peace and understanding among young people throughout the world. He has met with Bill Clinton and Mikhail Gorbachev and spoke in front of the UN. For these and other humanitarian and advocacy efforts, Smith has been nominated four times for a Nobel Peace Prize. His latest achievement? He just got his driver license. Akrit Jaswal is a young Indian who has been called "the world's smartest boy" and it's easy to see why. His IQ is 146 and is considered the smartest person his age in India —a country of more than a billion people. Akrit came to public attention when in 2000 he performed his first medical procedure at his family home. He was seven. His patient — a local girl who could not afford a doctor — was eight. Her hand had been burnt in a fire, causing her fingers to close into a tight fist that wouldn't open. Akrit had no formal medical training and no experience of surgery, yet he managed to free her fingers and she was able to use her hand again.. He focused his phenomenal intelligence on medicine and at the age of twelve he claimed to be on the verge of discovering a cure for cancer. He is now studying for a science degree at Chandigarh College and is the youngest student ever accepted by an Indian University. 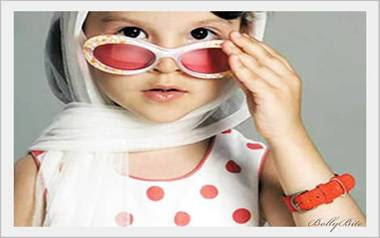 Clepotra was born October 6, 2002 in Chisinau , Moldova and is the daughter of Moldovan- R omanian singer, Pavel Stratan. She is the youngest person ever to score commercial success as a singer, with her 2006 album La vârsta de trei ani ("At the age of 3"). She holds the record for being the youngest artist that performed live for two hours in front of a large audience, the highest paid young artist, the youngest artist to receive an MTV award and the youngest artist to score a #1 hit in a country ("Ghita" in R omanian Singles Chart). The abstract paintings of emerging artist Aelita Andre have people in Australia 's art world talking. Aelita is two (the works were painted when she was even younger). 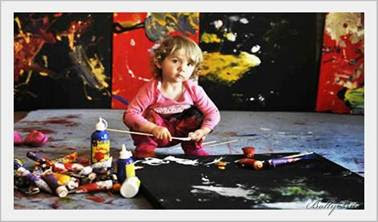 Aelita got an opportunity to show her paintings when Mark Jamieson, the director of Brunswick Street Gallery in Melbourne 's Fitzroy, was asked by a photographer whose work he represented to consider the work of another artist. Jamieson liked what he saw and agreed to include it in a group show. Jamieson then started to promote the show, printing glossy invitations and placing ads in the magazines Art Almanac and Art Collector, featuring the abstract work. Only then did he discover a crucial fact about the new artist: Aelita Andre is Kalashnikova's daughter, and was just 22 months old. Jamieson was shocked and embarrassed but decided to proceed with the exhibition anyways. A rabbi's son, Saul Aaron Kripke was born in New York and grew up in Omaha in 1940. By all accounts he was a true prodigy. In the fourth grade he discovered algebra, and by the end of grammar school he had mastered geometry and calculus and taken up philosophy. While still a teenager he wrote a series of papers that eventually transformed the study of modal logic. One of them earned a letter from the math department at Harvard, which hoped he would apply for a job until he wrote back and declined, explaining, "My mother said that I should finish high school and go to college first". After finishing high school, the college he eventually chose was Harvard. 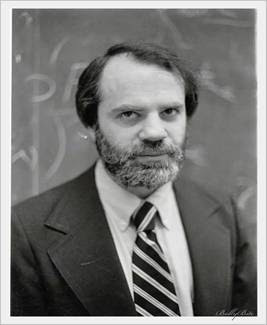 Kripke was awarded the Schock Prize, philosophy's equivalent of the Nobel. Nowadays, he is thought to be the world's greatest living philosopher. 24 year-old Michael Kearney became known as the world's youngest college graduate at the age of 10. In 2008, Kearney earned $1,000,000 on the television game show Who Wants to be a Millionaire? He spoke his first words at four months. At the age of six months, he said to his pediatrician "I have a left ear infection" and learned to read at the age of ten months. When Michael was four, he was given diagnostic tests for the Johns Hopkins precocious math program and achieved a perfect score. He finished high school at age 6, enrolled at Santa R osa Junior College graduating at 10 with an Associate of Science in Geology.. He is listed in the Guinness Book as the world's youngest university graduate at the age of 10, receiving a bachelor's degree in anthropology. For a while, he also held the record for the world's youngest postgraduate. But in 2006, he became worldwide famous after reaching the finals on the Mark Burnett/AOL quiz/puzzle game Gold R ush, and became the first $1 million winner in the online reality game. Fabulous Fabiano is a 16-year-old chess Grandmaster and chess prodigy with dual citizenship of Italy and the United States . 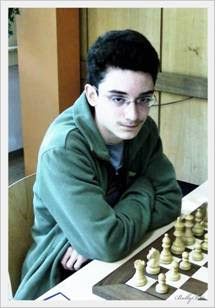 On 2007 Caruana became a Grandmaster at the age of 14 years, 11 months, 20 days - the youngest Grandmaster in the history of both Italy and the United States . In the April 2009 FIDE list, he has an Elo rating of 2649, making him the world's highest ranked player under the age of 18. William Joseph Mosconi, nicknamed "Mr. Pocket Billiards" was a American professional pocket billiards (pool) player from Philadelphia , Pennsylvania . Willie's father owned a pool hall where he wasn’t allowed to play, but Willie improvised by practicing with small potatoes from his mother's kitchen and an old broomstick. His father soon realized that his son was a child prodigy began advertising challenge matches, and though Willie had to stand on a box in order to reach the table, he beat experienced players many years his senior. In 1919, an exhibition match was arranged between six-year old Willie and the reigning World Champion, R alph Greenleaf. The hall was packed, and though Greenleaf won that match, Willie played very well launching his career in professional billiards. In 1924, at the tender age of eleven, Willie was the juvenile straight pool champion and was regularly holding trick shot exhibitions. Between the years of 1941 and 1957, he won the BCA World Championship of pool an unmatched fifteen times. 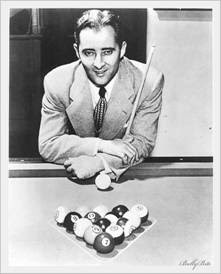 Mosconi pioneered and employed numerous trick shots, set many records, and helped to popularize the game of billiards. He still holds the officially recognized straight pool high run record of 526 consecutive balls. 10. 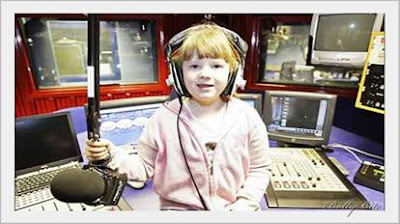 Elaina Smith: youngest agony aunt aged 7. When one listener wrote to Elaina asking how to get a man, she replied: "Shake your booty on the dance floor and listen to High School Musical". Another caller asked how to get her man back, Elaina told her: "He's not worth the heartache. Life's too short to be upset with a boy."